The study, published Jan. 26, was conducted at the behest of the state Legislature and summarizes current tolling laws. MnDOT Assistant Division Director Chris Roy said the agency studied portions of Interstate 94 and I-35, U.S. Route 169 and 52 and State Highway 610. Those roads represent interstates and freeways in rural and urban settings. All of the selected routes pass through the Twin Cities area. Although the study draws no firm outlines for a tolling plan, Roy said the ideal program would collect revenue without prompting too many people to bail and use secondary routes, thereby increasing the diversion rate. “That was kind of the balance we were always striking,” Roy said. Many of the studied routes are key to freight movement. 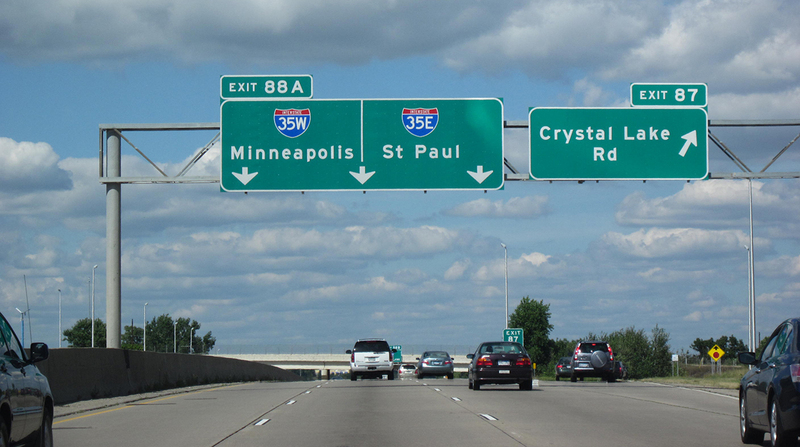 MnDOT’s study reflects that between 11% and 16% of the vehicles that traverse I-94 from St. Cloud to State Highway 101 are trucks, while 7% to 13% of traffic on U.S. Route 52 from State Highway 55 to Rochester is comprised of trucks. Roy said the average percentage for truck traffic is between 6% and 10%. According to Minnesota Trucking Association President John Hausladen, these routes are especially important for the movement of agricultural products, metal, ore, wood cabinetry and medical supplies such as pacemakers. Hausladen said the trucking industry opposes tolling, which can result in other issues, such as time inefficiencies and diversions onto arterial roads. He recommended fuel taxes, vehicle registration fees and vehicle sales taxes as better ways to fund Minnesota’s roads. Minnesota’s tax on diesel, trucking’s main fuel, is 28.5 cents per gallon — where it has hovered since July 2011, according to the state’s Department of Revenue. MnDOT tested high, medium and low toll rates, equivalent to 10 cents per mile, 7 cents per mile and 4 cents per mile, respectively. Roy explained that MnDOT’s projections were best guesses, formulated from annual average daily traffic data and truck counts. Trucks bring in more revenue than passenger cars, and truck toll rates were calculated by multiplying 2-axle vehicle rates by a factor of 3.8, he said. Halvor Lines Chief Strategy Officer Carl Svendsen acknowledged the need to pay for roads, but said the trucking industry has to deal with an increase in tolls in a plethora of locations and suggested a fuel tax as a better option. Roy emphasized that this report was a preliminary look at an issue that will probably warrant more studies. He said further analysis is needed to look at particular interchange locations, diversion routes, compliance with state and federal laws and more accurate revenue numbers. Roy compared MnDOT’s study to an initial call to a mechanic when a vehicle has a squeaky brake.